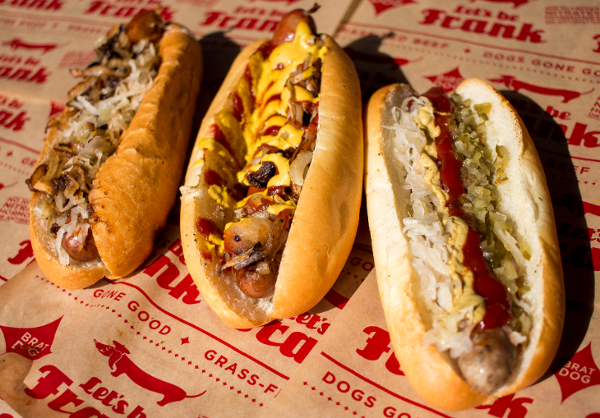 You can get your fix of our delicious dogs at your very own event! 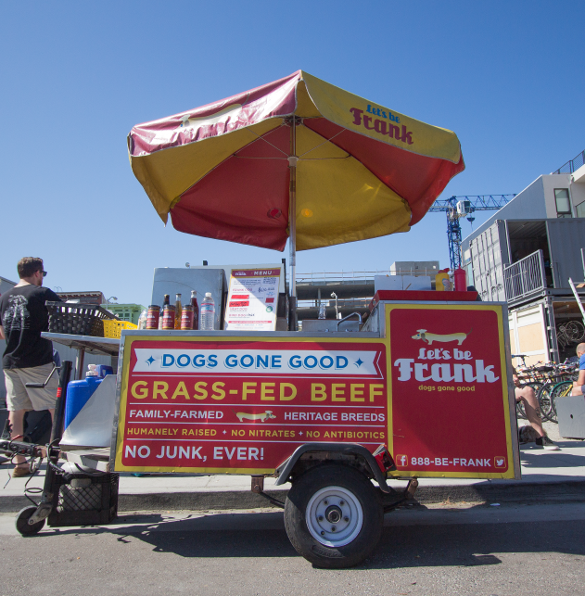 We can bring Frank’s trailer (in Los Angeles) or our umbrella- topped carts (in Los Angeles and San Francisco) to any location or event, including family picnics, wrap parties, on-site crew lunches, birthdays, late-night wedding snacks, and more. The same friendly service and commitment to excellence that made our carts famous is yours to enjoy. Fill out the form below to inquire about catering. You’ll hear back from us in one business day. Please include if you know it the date, service time, location, and number of guests expected. Please contact our events manager with any questions. Our carts and trailer are completely self-contained, and we use only compostable wrappers and napkins. No plates or utensils are necessary! When we started Let's be Frank, we wanted to support the few ranchers left in California who were raising their cattle on pasture. We were inspired and informed by a range of experts who believe that pasture-based livestock management is good for the rancher, good for the animals, good for the environment, and good for the consumer.